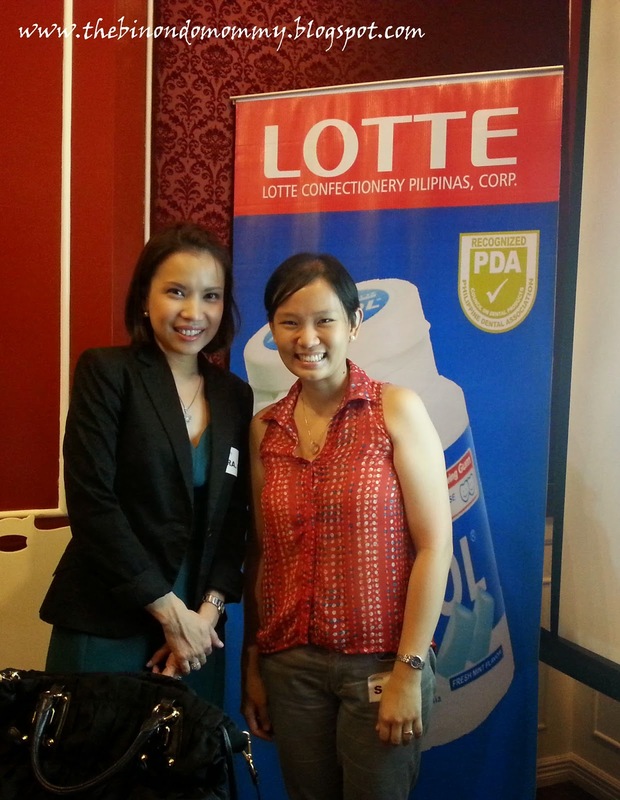 Last Wednesday July 30, I attended a short Dental Care talk by Lotte Xylitol at Kitchen's Best Home Patisserie in BGC. 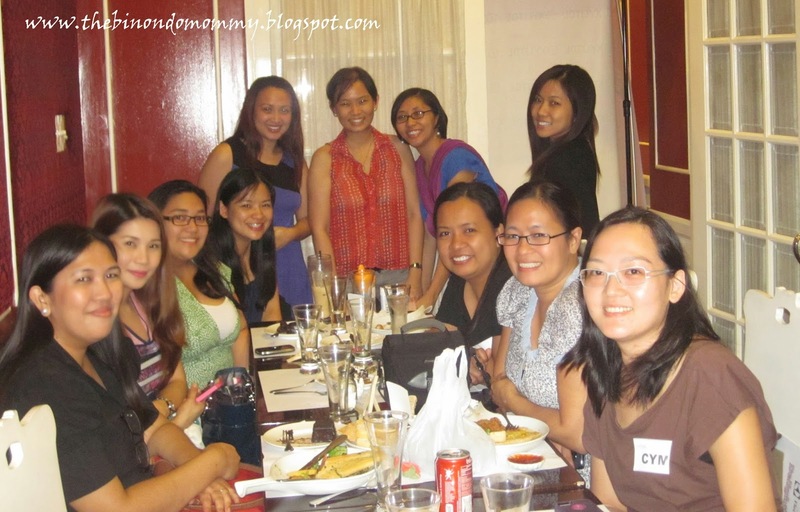 I felt so honored to be invited by Mommy Ginger, together with other mommy bloggers, to this intimate bloggers' meet-up. Group picture with some of the mommy bloggers, as the others had already left after the talk. 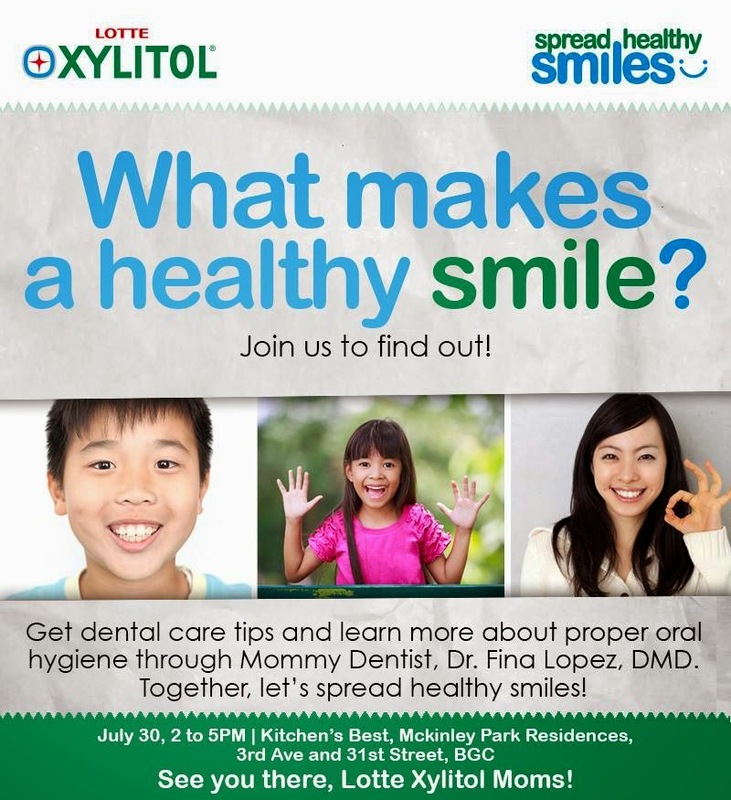 Anything that could increase my knowledge as a first-time mom, I would love to attend and dental care is one of them. I can't say that I have a perfect teeth, although I still have a complete set of teeth, I do have lots of restored ones. And because of that, I want to really take time to learn more about how to properly take care of my child's teeth so that she'll grow up with a healthy smile. Official poster to this mini event. First, let's define what tooth decay is. Tooth decay, also known as dental caries or cavities, is the bacterial infection that causes demineralization and destruction of tooth enamel resulting from interactions between teeth, food and bacteria. 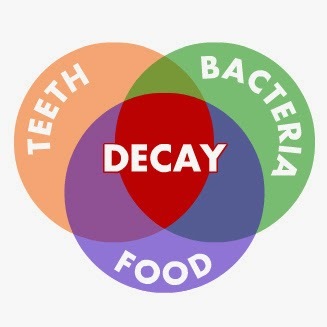 Every time we eat, especially fermentable carbohydrates or sweets, the food breaks down into simple sugars which will then work with bacteria, thereby producing acids that dissolve minerals inside our tooth enamel in a process called demineralization. It happens when minerals are being lost faster than they are being regained. We must also take note that the longer the food stays on our teeth, the more acids will be produced. Thus we must avoid frequent eating especially those sticky and retentive type of food such as potato chips and biscuits that get stuck in crevices of our teeth. If you will be asked to choose between chocolate or biscuit, it's better to eat chocolate because it just melts and can be easily washed away with water. Scary right? I also can't stop myself from kissing and sharing food with my toddler. If you see white spots building up on your child's teeth, that's already the start of tooth decay. If only I learned about it earlier, I would have taken the necessary actions to prevent my child from getting stains on her two front teeth, plus I shouldn't have given her iron supplements that caused the stains. What makes a Healthy Smile? According to Dr. Fina, pedia dentist, as soon as the first tooth erupts, the habit of brushing starts. Never be lax with the fact that they're still considered milk teeth and will eventually be replaced with permanent teeth. Remember that baby teeth act as place holders for your permanent teeth. If a baby tooth gets extracted too early, the permanent tooth might not come out of its proper place thus might affect the overall look of the teeth. In order to protect your baby's teeth from tooth decay or dental cavities, proper brushing should be done. We, parents or caregivers, should assist our toddlers in brushing by doing it in a knee-to-knee position. brush at least twice a day, morning and evening, for at least 2 minutes or shorter for lesser teeth; you can sing the "Happy Birthday" song twice as your time guide. use a smear of fluoridated toothpaste, at least 1000 ppm, for children 2 years and below and pea-size for 2-6 years old. 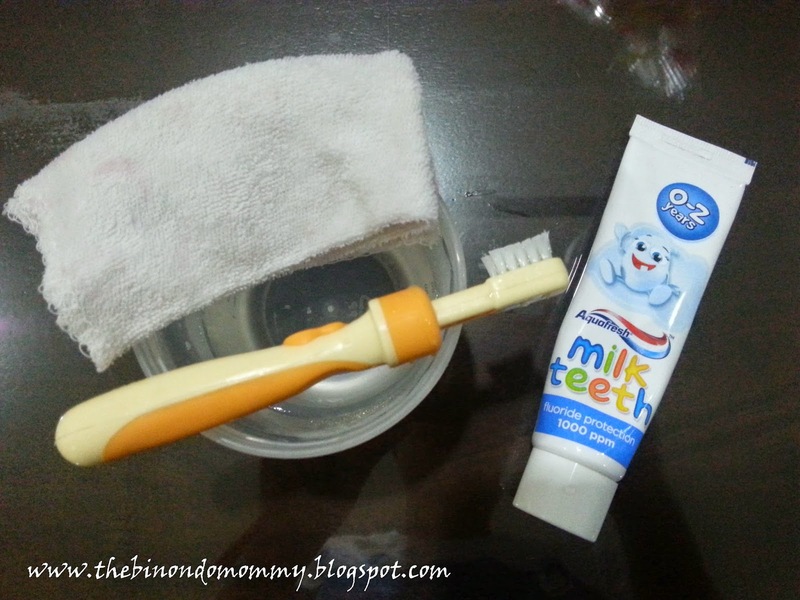 Aqua Fresh Milk Teeth (0-2) toothpaste is a perfect example. To recap, we learned that bacteria breaks down carbohydrates producing acids that's harmful to our teeth. Mouth acidity is measured by the pH level of our saliva. A pH level above 7.0 is considered safe or in an alkaline state while below that is already acidic. When the acidity level drops below 5.5, enamel starts to erode or demineralize, thus tooth decay happens. Aside from proper oral hygiene, there's still another way to prevent tooth decay. and that is with the help of Xylitol. What is Xylitol and its Benefits? comes in the form of chewing gum, candy, toothpaste, mouthwash, etc. 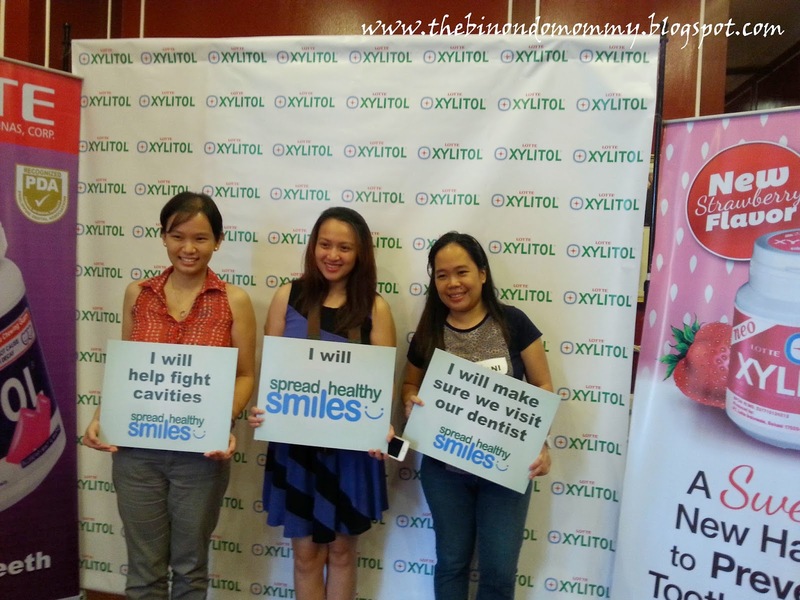 certified safe by World Health Organization, Philippine Dental Association, etc. Check out the succeeding infographics below on how Xylitol protects our teeth. Mutans Streptococci feeds on the sugar that we eat and produces acid that causes tooth decay. Xylitol replaces the bad sugar to stop Mutans Streptococci from producing acid. Xylitol also helps bring back minerals to our teeth and reverses tooth decay. And speaking of xylitol, let me introduce to you Lotte Xylitol. It is a dental health gum that uses 50% xylitol as a natural sugar substitute. It also contains Calcium Phosphate that helps rebuild teeth. Aside from the benefits I've listed above, putting xylitol in a gum form is more effective because chewing induces salivation which then neutralizes or raises our mouth's acidity or pH level. It simpler terms, saliva helps clear the sugar and acid from our teeth thus preventing tooth decay. The recommended chewing dosage of Lotte Xylitol is 2 pellets, 4-5 times a day, every after meals. It comes in four (4) different flavors and packaged in 3 sizes. Lotte Xylitol is available in leading groceries and supermarkets nationwide. Just to give you an idea of the price point. Lifted this photo from their Facebook page. This is actually my favorite flavor, Lime Mint. They're currently running a photo contest and you just need to have a handy bottle plus your healthy smile. 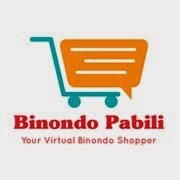 Promo runs until Aug. 22, 2014. Click the poster below for full mechanics. As early as below 1 year of age, cavity-causing bacteria can already be transmitted from mother to child. Mothers who regularly consumed Xylitol for a 2-year period from the birth of their child greatly reduced the chances of tooth decay in their children. 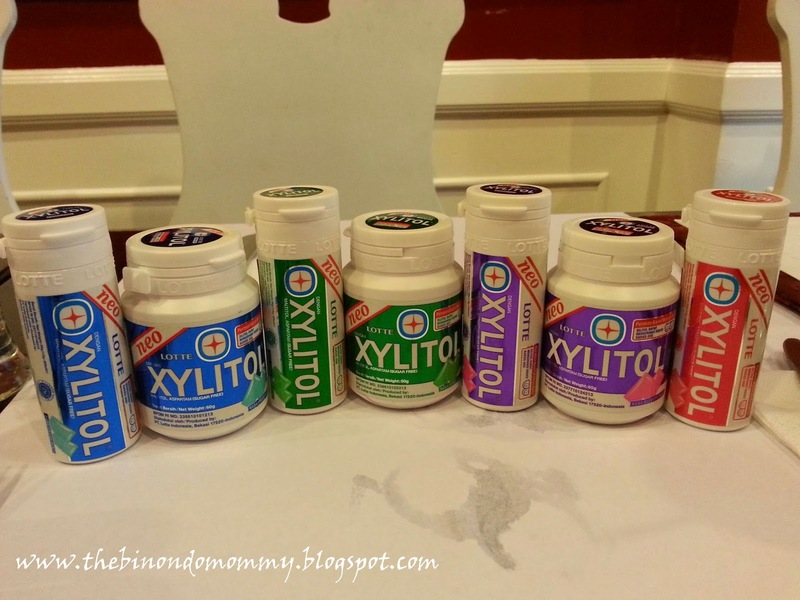 The tooth decay preventing effects of Xylitol can be achieved even by just having the mothers consume Xylitol. Wow, amazing Xylitol! So what are you waiting for? 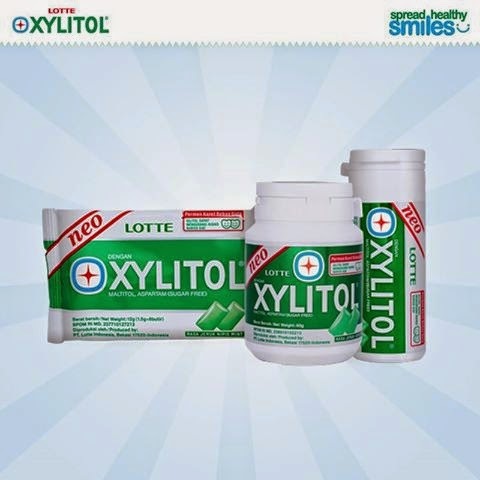 Grab a bottle of Lotte Xylitol and start your dental habits now. Let's #SpreadHealthySmiles with #LotteXylitol and #MakeItZero cavities. Thank you once again Mommy Ginger and Lotte Xylitol for the invite! Sally the iron stains are caused by excessive/prolonged iron supplementation like what happened with baby seth too. Remove iron caused stains with baking soda lang. In one day, theyre gone na. All useful information, mommy! I'm very particular with teeth hygiene, but like what we talked about in my blog, super hirap to get toddlers to brush their teeth. That position? I can super relate noon! By the way, is fluoridated toothpaste okay if ingested? My toddler kasi wouldn't just not spit out, talagang pinapapak pa nya! These are really wonderful tips for taking care of your teeths and will sure help in keeping your teeth strong and healthy for longer. Ow, this is interesting! As a mother, you should be aware with this kind of topic to make sure you child have a healthy teeth as they grow older. In addition to assisting excellent dentistry while you're away from home, portable dental packages allow parents to educate their kids how important excellent daily Oral hygiene really is. Don't stop there, however: educate your kids excellent habits by eating meals which contain less sugar.